The prime minister of Canada said in an interview aired Sunday that he felt the new U.S. tariffs on Canada were "insulting and unacceptable." Justin Trudeau told NBC's Meet the Press, "One of the things that I have to admit I'm having a lot of trouble getting around is the idea that this entire thing is coming about because the president and the administration have decided that Canada and Canadian steel and aluminum is a national security threat to the United States." 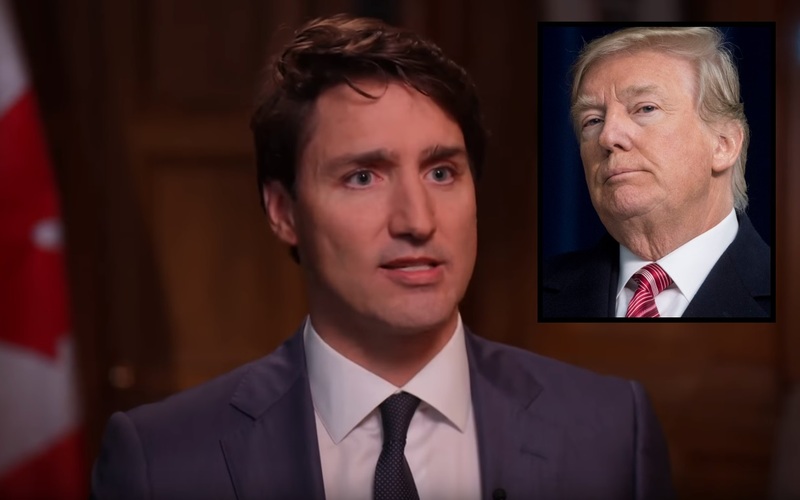 The prime minister was not happy about the new tariffs Trump levied against Canada among other nations. "The idea that we are somehow a national security threat to the United States is quite frankly insulting and unacceptable," Trudeau said. The Trump administration announced Thursday that a 25% tariff on imported steel and a 10% tariff on imported aluminum would be imposed on U.S. allies which included Canada, Mexico, and the European Union. Trump announced the tariffs in March originally though the president granted temporary relief from the hefty tariffs. Trudeau was not so forgiving with his response and levied direct reciprocal tariffs on the U.S. as retaliation. "We're putting the same kinds of tariffs exactly on steel and aluminum coming from the United States into Canada to be directly reciprocal," Trudeau said. "But we're also putting a number of tariffs on consumer goods, finished products for which Canadians have easy alternatives." "One of the truths about tariffs is they drive up costs for consumers. And on top of that, these tariffs are going to be hurting American workers and Canadian workers," Trudeau continued and added that it didn't make sense to think of Canadian steel as a national security threat since the alliance between the nations has been long-standing. Canadian steel is inside U.S. military vehicles for example. "The idea that our soldiers who had fought and died together on the beaches of World War II, on the mountains of Afghanistan and have stood shoulder-to-shoulder in some of the most difficult places in the world, that are always there for each other, this is insulting to that," Trudeau said. The G7 summit is set to take place Friday and Saturday in Quebec between the top seven Western countries.